Weeks before Acel is ready to file the global patent application for Colare, a wonder drug for pancreatic cancer, the research data stored at its offshore data center in Mumbai goes haywire and Dr. Udai Vir Dhingra, the charismatic, Ivy-educated young leader of its Indian business, gets blamed. The trail leads to Raghu Damodaran, a precocious teen exploring the very edges of what can be done in cyber space, and then gets lost. Battling market pressures, media leaks, livid American bosses and crumbling relationships, Vir must find the real perpetrators or see his career – and his life – spiral downwards. Swept into a shadowy world of masked online identities and muddied digital footprints, Vir discovers that nothing is easy or obvious, and everything has a price. Set in Mumbai, Washington DC and Suzhou, in an online-meets-offline adventure of cyber threats and IP espionage, drug research and medical ethics, strained affairs and lost love, disillusionment and hopelessness, Breach is a clever, fast-paced thriller full of surprises. 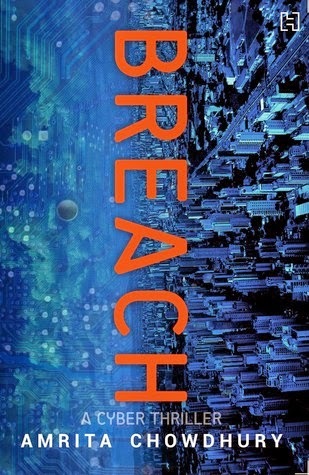 Breach is a fast paced, cyber thriller which takes on the digital data-theft rampage over virtual world, an insecure medium, its risks not understood by most. The pharmaceutical company Acel, is getting ready to file a Global Patent for a medicine ‘Colare’, which could be answer for a deadly pancreatic cancer, but they discover that the offshore data centre in Mumbai has been hacked. Critical data is stolen and replaced by corrupted one. The young, charismatic leader, in-charge of its India Operations, Dr Udai Vir Dhingra, is blamed for negligence and breach of security. Story, spanning India, USA and China, is a thrilling account of behind-the-scenes politics in the pharma companies and dangerous, albeit flourishing cyber-piracy business. I loved the way new-generation, over-confident hackers, Raghu, his friends and Vir’s personal problems, have been woven in the plot. The two threads humanize the story, which otherwise might have become dry and drab. The story also touches on commercialization of pharma industry, where the companies want to make money, from the investment on the research, and do not allow the critical cures to be made available to common man, for profit. Virtual existence, online threats, hacking, cyber security risks which companies struggle to deal with, bio-technology, Trojans etc; all this specialized knowledge is explained in simple language that it doesn’t take away from the pace of the story. I was a little disappointed with Vir’s characterization, who I initially perceived was smart to be heading India Operations, but seemed clueless in the face of data-security breach in his organization throughout the story. His personal concerns were better articulated than the professional mess, he was in. In nutshell, Breach is a well-researched, intelligent, edgy thriller that keeps one glued till the end. A recommended read. 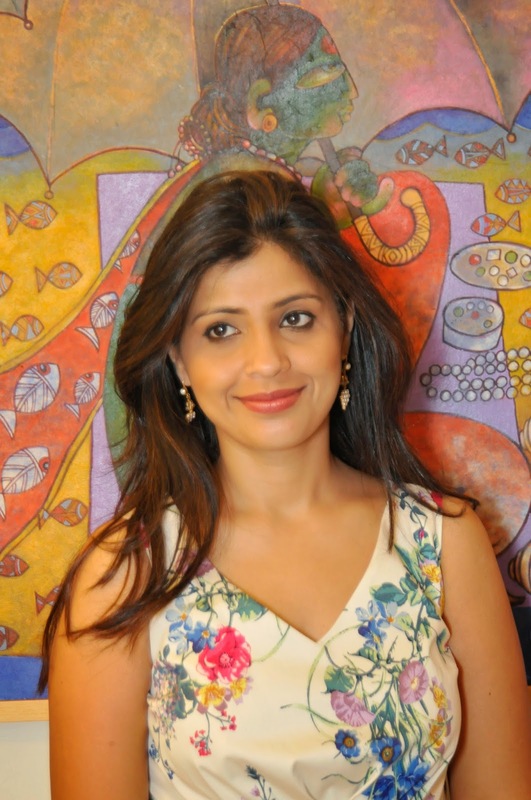 Amrita Verma Chowdhury is the author of Faking It, an art crime thriller about fake modern and contemporary Indian art. She holds engineering degrees from IIT Kanpur and UC Berkeley, where she was a Jane Lewis Fellow, and an MBA from Carnegie Mellon (Tepper Business School). Her work as an engineer in Silicon Valley led to seven US patents for semi-conductor fabrication – something to show for those bad-haired days. She has done Strategy Consulting and Board Effectiveness work in the US and Australia and has spent long nights fitting five-syllable words inside two-by-two squares. She has worked in the rarefied bastions of Ivy League education bringing together ideas and people. She currently works in publishing. She lives in Mumbai with her husband Sumit, their two children Shoumik and Aishani, and an assortment of pets including a cocker spaniel, a guinea pig and two turtles. She loves travelling, baking cupcakes with her daughter and hearing from her readers.